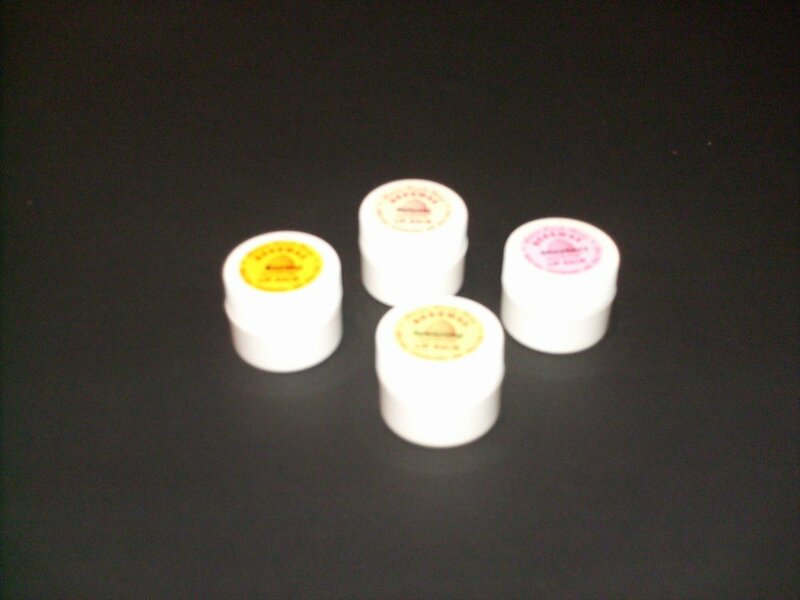 Our lip balms are made with beeswax and natural oils. We have four flavors: spearmint, strawberry, banana, and natural (no flavour). Available in 1/4oz screw top containers.